Designing your own kitchen is not only a great way to ensure that your kitchen meets all of your requirements, but it also provides a fun and creative way to participate in the evolution of your home. Have you ever approached a kitchen counter expecting to be able to hunker down and focus on your work only to notice that your toes hit the base cabinet, keeping you from getting as close to the counter-top workspace as you would like? This is because most custom professional cabinets are designed to provide amble toe room so that you can get an extra few inches closer to you work space comfortably-without having to bend awkwardly to see your workspace. Base cabinet toe room is a cut-out along the edge of the base cabinet that provides a few inches of depth and height for your toes. If you’re like many people designing their kitchens for the first time, chances are good that you’ve taken advantage of base cabinet toe room on a regular basis without ever noticing it! Glance down at your cabinets next time to see if you have toe room in your existing set-up. Heads up: designing your kitchen with base cabinet toe room in mind is especially important as you plan your floors. You’ll want to be sure that your flooring is extends far enough into the toe room and does not stop at the countertop line. As more and more baby boomers decide to stay in their homes as they age, custom kitchen cabinet designers are incorporating more Aging in Place techniques to make their kitchens adaptable to evolving age-related needs. Aging in Place design, basically, means that a professional cabinet designer will take into consideration a client’s specific age-related concerns and build custom kitchen cabinets based on best practices to address those concerns. Examples of Aging in Place kitchen cabinet designs might include kitchen spaces with handrails, lower cabinets and countertops, wider egress spaces to accommodate walkers and wheelchairs, better countertop storage for heavy appliances, and easy-to-grasp kitchen cabinet hardware. Many homeowners are aware that there are local, state, and federal building codes that influence the design of their homes. Kitchens are also subject to building codes. Not only do cabinet designs need to comply with regulations governing egress space and electricity, but there are likely to be various codes that are specific to each locale. Homeowners should be sure that their kitchen cabinet designers are aware of local, state, and federal building code regulations-and that their kitchen cabinet designs are compliant with those regulations. If not, homeowners may face fines, be required to redo parts of their kitchen cabinet installation, or have difficulty selling their homes without costly revisions. 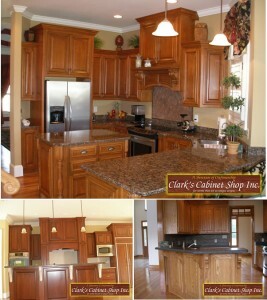 Designing kitchen cabinets is a fun process that can result in major home upgrades. When done well, new kitchen cabinets can significantly increase the value of a home while improving the way homeowners interact with-and within-their spaces. Look for a kitchen cabinet designer in your area who understands best practice kitchen cabinet design and can apply those best practices to meet your specific kitchen design goals.